New York, NY – May 3, 2011 – Rockstar Games, a publishing label of Take-Two Interactive Software, Inc. (NASDAQ: TTWO), in conjunction with Mulholland Books, an imprint of Little, Brown and Company, has partnered with notable authors of the thriller genre to publish a series of short stories some of which are based on characters and cases from the world of L.A. Noire. “L.A. 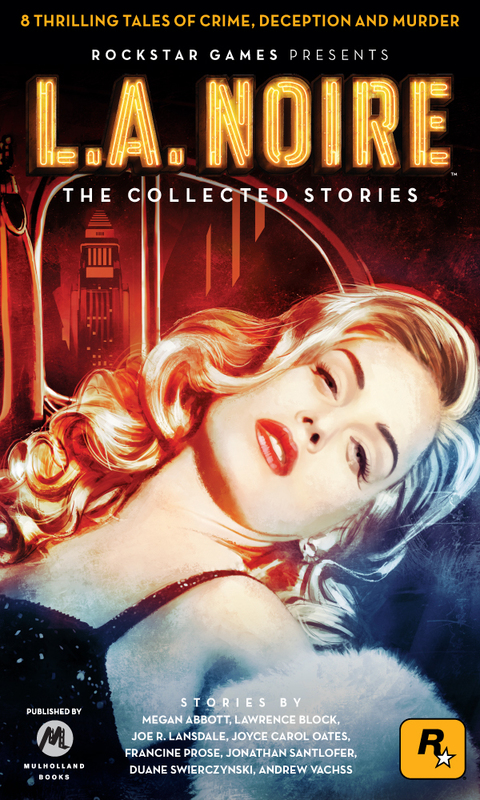 Noire: The Collected Stories” will be available for digital download on June 6, 2011 through all major eBook retailers. Authors with stories in the anthology include such renowned writers as Megan Abbott, Lawrence Block, Joe Lansdale, Joyce Carol Oates, Francine Prose, Jonathan Santlofer, Duane Swierczynski and Andrew Vachss. 1940s Hollywood, murder, deception and mystery take center stage as readers reintroduce themselves to characters seen in L.A. Noire. Explore the lives of actresses desperate for the Hollywood spotlight; heroes turned defeated men; and classic Noir villains. Readers will come across not only familiar faces, but familiar cases from the game that take on a new spin to tell the tales of emotionally torn protagonists, depraved schemers and their ill-fated victims. Select stories will be available across various media outlets prior to the launch of L.A. Noire on May 17, 2011 in North America and May 20, 2011 in Europe. An excerpt from “The Girl” by Megan Abbott is now available for readers at www.rockstargames.com. Almost from the start, Mulholland books come across and being energetic and having a fresh approach. This is a smart attempt to reach a totally different audience. I think that most publishers, and many authors for that matter, fail to take full advantage of the internet and computer technology. This type of cross-marketing can’t hurt and may well benefit all parties involved. L.A. NOIRE had already caught my eye, but this news actually got me to spend some time looking into the game all but guarantees that I will pick up a copy (Note to Rockstar: I am still willing to review it, it is not too late to send a copy!). Rockstar is smart to reach out to the mystery world because this appears to be a game right up our alley.